I've had this tank for a few weeks now and I'm just looking for any tips to improve the scape. What would I fill it in with? I know but what kind? How much space do you have behind the rocks on the right? A good looking tall plant would look great popping out behind the rocks, maybe pogo erectus or some jungle val. 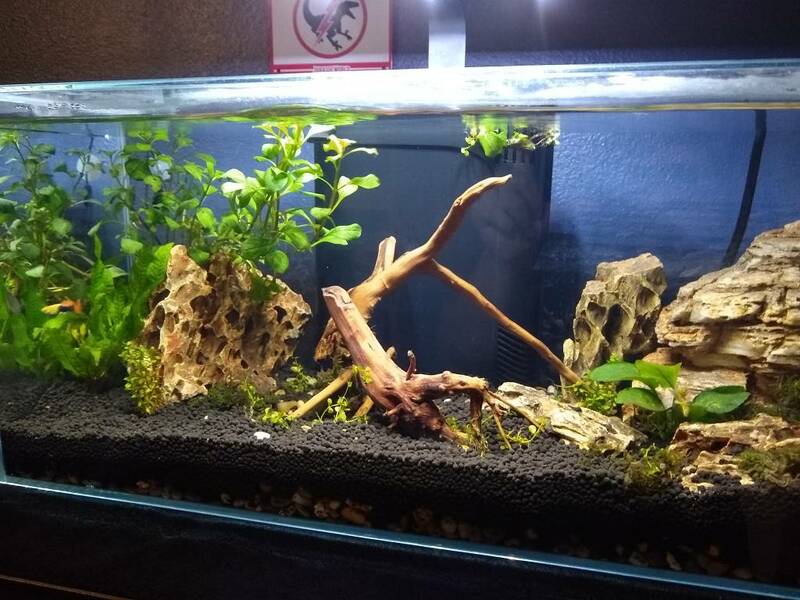 For the middle behind the wood maybe try adding some color with some ludwigia super red. I would put privacy window film in the back of the tank, just cut it to size, spray water, peel and attach, trim any excess with an xacto knife and remove bubbles with your fingers or a squeegee, it'll give it a nice extra touch!